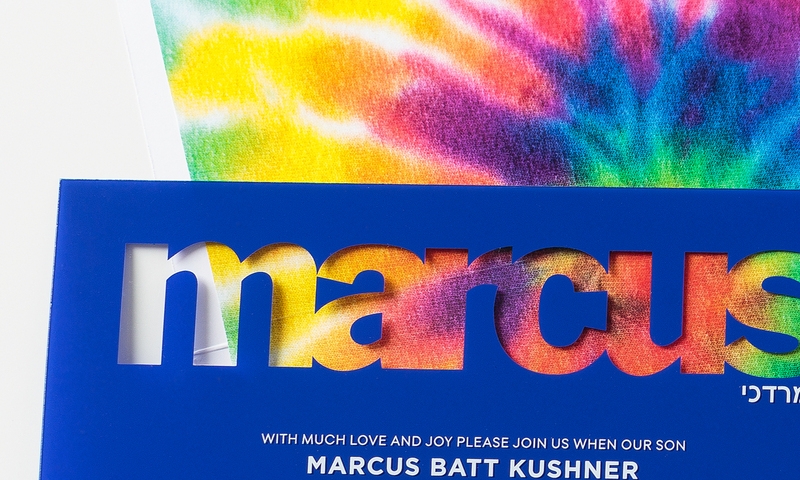 This groovy bar mitzvah set includes a plastic invitiation which reveals the tie dye liner of the envelope through the child’s name. 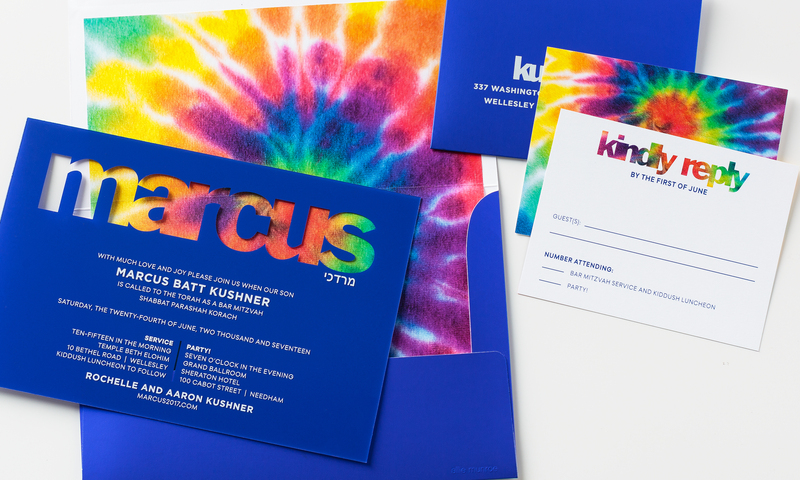 A reply card completes the set with the matching tie-dye pattern and blue envelope. This set can be customized with any pattern or color to create an entirely different look and feel.